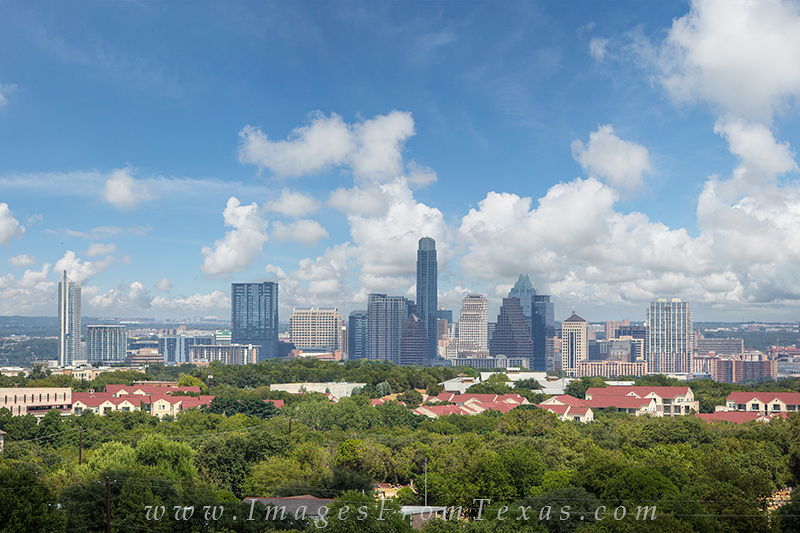 This Austin skyline view looks west over the capitol city of Texas. Many of the most well known buildings can be seen here, including the 360 Condos, the Austonian, and the Frost Bank Tower. Photo © copyright by Rob Greebon.